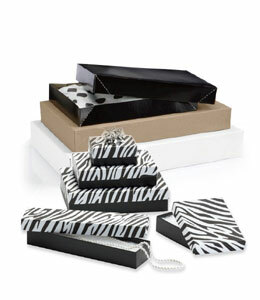 Jewelry gift boxes in kraft, white, and animal prints & more. 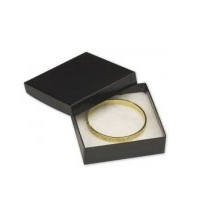 All of our high quality jewelry boxes have an anti-tarnish cotton insert and are made of 100% recycled content. 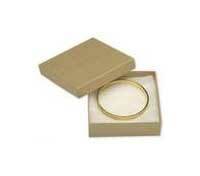 Our cardboard jewelry boxes can be recycled as well. Our most popular boxes come in gold, black, hot pink and linen. 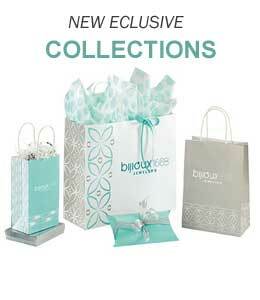 Available in many sizes and styles, our jewelry boxes are sure to coordinate with your store packaging. Boxes sell for less than a dollar and are the cheapest prices we have found online. These jewelry boxes are perfect for giving gifts of jewelry. Whether you're looking for jewelry boxes wholesale, pillow boxes, cotton box filling, or another jewelry packaging solution, BowsNBags.com is here to meet your packaging needs quickly and painlessly. For the creative jewelry hobbyist, you may just like to make jewelry to give away as gifts or for sale at a local art show. 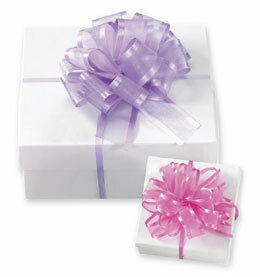 Package your retail products in these cheap cotton lined jewelry gift boxes. 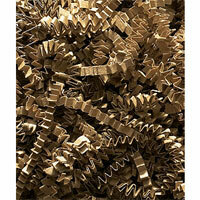 Brown Kraft Jewelry boxes can be used for a variety of different jewelry, from bracelets to necklaces and ear rings. 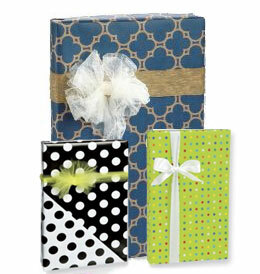 Each Kraft box comes with a soft cotton liner to make your gift of jewelry look it's best. 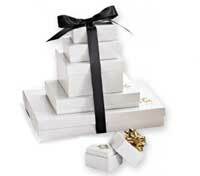 Small white jewelry boxes are perfect for holding gifts of jewelry. 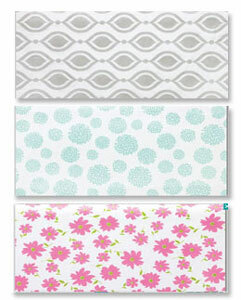 Bracelets, necklaces and earrings will be cradled with the soft white cotton lining. 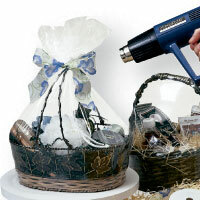 Good for all occasion gifting. Boxes are great for Christmas gifts. Jewelery is the perfect gift for any woman. 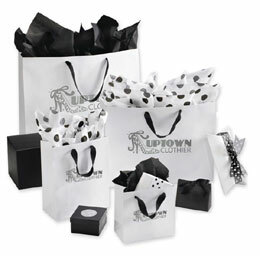 Show it off when you put your precious gems in a nice black gift box lined with white cotton.